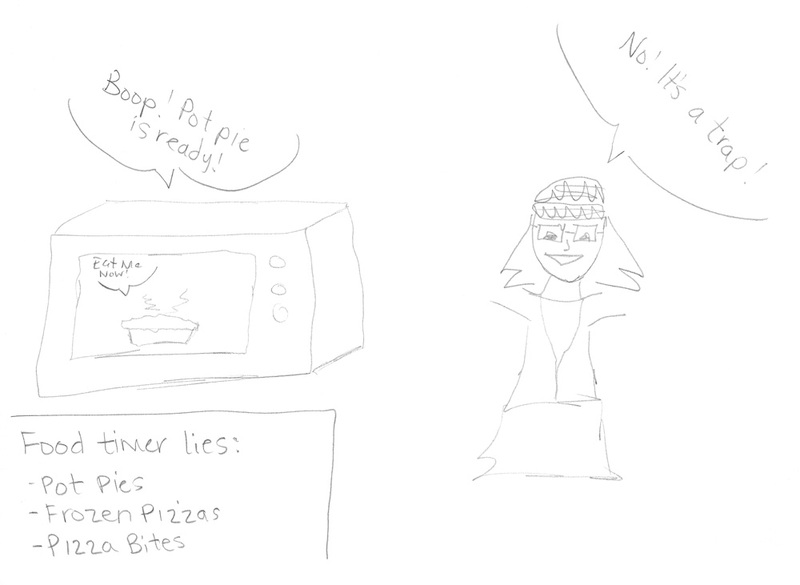 Frozen food is delicious but deadly immediately after the cooking time. I know the roofs of our mouths know that. I know our tongues know that. we promised ourselves we'd never ever do that ever again. Maybe THIS time the food won't be too hot. You gotta cook pot pies in the oven. It's the only way to get the crust right, even if it takes half an hour. I agree!!! I constantly waffle between nicely crusted food eventually and mushy food nownownownow when I cook. Well, "cook."